Check out the latest trending business Current Affairs Feb 4 updates by reading the news. New India Assurance posts a profit of Rs 617 crore in the third quarter. India’s largest non-life insurance company, New India Assurance Company, has reported a profit of Rs 617 crore for the third quarter against a loss of Rs 24 crore in the same period a year ago. G Srinivasan, chairman and managing director said, “the results have improved substantially due to improvement in combined ratio. The drop in combined ratio was aided by lower claims ratio and operating expense ratio due to various steps taken by the company. The company has exited from health and motor segments. New India Assurance plans to launch two health insurance schemes and title insurance in the next few months. Maruti Suzuki is planning hybrid vehicles as a solution to address country’s environmental problems. Maruti Suzuki is rooting for hybrid vehicles to address country’s environmental concerns amid India’s plans to move to an all-electric vehicle fleet. Kenichi Ayukawa, MD and CEO of Maruti Suzuki India said the number of electric vehicles [EVs] is very limited. To shift to EVs, we have to localize components and build infrastructure, Hence, we propose the hybrid system. With hybrids, increase in fuel efficiency can range from 5% to 30%. Currently, Maruti Suzuki sells only mild hybrids in the Indian market. Three of its vehicles — the S-Cross, Ertiga and Ciaz come with its Smart Hybrid Vehicle System. 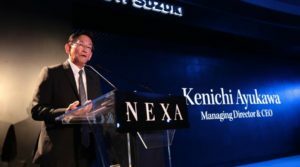 Mr. Ayukawa said the company had seen an increase of about 30-40% in sales of S-Cross after the introduction of the System. The government has proposed moving to 100% electric vehicles by 2030, though the auto industry had recommended that the country should target 40% of personal vehicles and 100% of public transport vehicles to be electric by then. Maruti is planning to bring an EV into the country by 2020, while Hyundai has announced that it will launch its EV in India in 2019. Sterlite Power to invest $10 billion in the next 4 years. Sterlite Power looks to invest about $10 billion over the next three-four years to expand business in domestic and overseas markets. The company had acquired the 28.4% stake that Standard Chartered Private Equity (SCPE) held in its transmission business for Rs. 1,010 crore. SCPE exited the company with over 100% premium on its Rs. 500 crore investment in made 2014. Sterlite Power Group CEO Pratik Agarwal said that there is immense scope in the transmission business, especially after government opened up the sector to private players. Kairana’s BJP MP Hukum Singh dies. BJP MP from Kairana, Hukum Singh, died at J P Hospital in Noida on Saturday. Singh, who was suffering from breathing problems was admitted to the hospital for nearly a month, was 79 years old. He was a seven-time MLA from UP and state minister under both BJP and Congress governments. He is survived by his five daughters. Singh had started his political career with the Congress in 1974, winning his first election from Kairana. A two-time MLA from Congress and one-term Janata Party (Secular) legislator, he joined BJP in 1995. As the BJP candidate, he won from Kairana in 1996, 2002, 2007 and 2012. While he lost the 2009 Lok Sabha elections, he won in 2014. He was a law graduate from Allahabad University, he used to practice law before he cleared PCS (J) exams in 1963. But instead of becoming a judicial officer, he joined the Army as a commissioned officer as China attacked India. He also took part in the 1965 Pakistan war. He then took voluntary retirement and went back to practice law in Muzaffarnagar in 1969. Shubhankar Sharma wins Malaysia title. 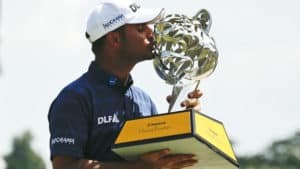 Shubhankar Sharma roared back from a four-stroke deficit to claim a remarkable two-shot win at the Maybank Championship in Malaysia. This was his second European Tour title on Sunday. The 21-year-old shot 10 birdies in a sizzling closing round of 10-under-par 62 to aggregate 21-under for the tournament, finishing ahead of joint overnight leader Jorge Campillo who carded a 68. Campillo was a shot ahead of New Zealand’s Ryan Fox who was tied third alongside Pablo Larrazabal at the Saujana Golf and Country Club. Joint Korean women’s ice hockey team lost to Sweden 3-1. A joint team comprising of ice hockey players from north and South Korea played the Swedes and lost 3-1. North and South Korea agreed last month to field a combined women’s ice hockey team and march together under one flag in Pyeongchang. South Korean fans chanting, “We are one” and wearing shirts with the unification flag emblazoned on the front packed into a freezing ice hockey arena. 3,000 fans packed into Seonhak International Ice Rink in Incheon, the Koreans, who have only practiced together for a week. International Olympic Committee said 12 North Korea players would join the South’s 23-player squad. The game day roster will continue to be 22 and the team has to include at least three North Koreans. The North will send athletes to figure skating, short track speed skating, cross-country and Alpine skiing at the Feb. 9-25 Games. Bei Wei Zhang beats PV Sindhu, wins Indian Open 2018. Defending champion PV Sindhu failed to retain the title as she was defeated by world No. 11 Beiwen Zhang of USA in the final of India Open Super 500 at Siri Fort Complex in Delhi. Sindhu lost the final in three games 18-21, 21-11, 20-22 in one hour and nine minutes. Candidates hoping to get Government Jobs can get more details about the Current updates from above links. You can read some latest Current Affairs, and attempt Current Affairs Quiz which helps you to crack various Competitive Exams. Make use of our Current Affairs Feb 4 and current affairs India 2018 for better scoring in exams. Users will be benefited with the free month wise Current Affairs PDF and Updates available for download. The Free Quizzes & GK Questions available in this Affairs Section will benefit all the career hopefuls to get their desired Sarkari Naukri. This current affairs daily page is well created by the dedicated team members of recruitment.guru. Make use of Current Affairs Feb 4.